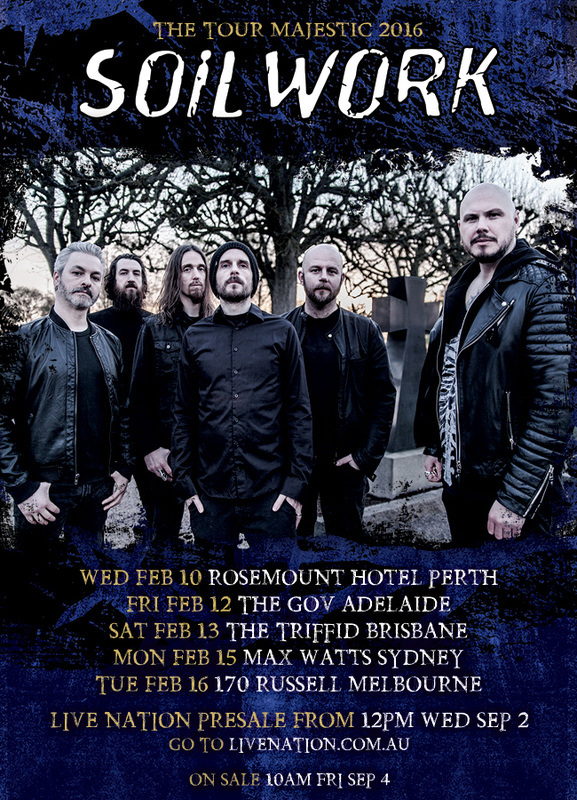 Visionary Swedish melodeath metal masters Soilwork are set to embark on a national tour of Australia this summer, the announcement coinciding with the release today of their tenth and triumphant studio album, The Ride Majestic out today, Friday 28th August. Currently trekking through North America as part of their extensive world tour, Soilwork’s Australian club dates will kick off in Perth with shows in Adelaide, Brisbane and Sydney before wrapping up in Melbourne. Having toured the world, released a critically acclaimed double-album, a live DVD and a five-track EP over the past two and a half years, it’s clear that Soilwork remain tireless masters of their craft. Now, they return with The Ride Majestic, another jubilant moment for a band whose body of work stretches across twenty years.